RUNNING THE OTHER WAY: Mir Hossein Mousavi, seen in this cartoon, was the reformists' first choice for a candidate in the presidential elections of May 23, 1997 (2 Khordad on the Iranian calendar). The red apple signifies the Iranian presidency. Mohammad Khatami stepped in that year after Mousavi refused. Iran's tenth presidential election will be held on Friday, June 12, 2009. Through this series of articles, I will describe the major candidates, their political affiliations and the groups that support each. I will also provide an analysis of what each candidate's victory will mean for Iran in the short and long term. Part I of the series laid out the domestic and international landscape. In the present article, I describe all the major political parties and groups in Iran, including their respective ideologies. Article 26 of the Constitution of the Islamic Republic formally recognizes the existence of political parties. The Majles (the Iranian parliament) passed a law in September 1981 that regulates the formation of political parties. In particular, Article 10 of the law specified the formation of a commission (known as the Article 10 Commission) in the Interior Ministry to grant permits to groups that wish to form (or to order them to dissolve, if they act illegally). The Commission is made up of one member from the Interior Ministry, two from the Majles, and two from the Judiciary. Before embarking on the task, I should briefly discuss a few important facts regarding the power structure in Iran, and the differences between political groups and parties in the West from those in Iran. (1) Iran's political power structure is neither democratic, nor a classical totalitarian one. It is true that there are even quasi-fascist forces in Iran that would like to control all levers of power and create a completely closed society. These forces are currently even present in the political establishment. But there have always been democratic forces within the country that have opposed the totalitarian ideology. In fact, over the past 30 years, such democratic forces have even been able to gain a presence in the Majles (parliament), in the government, or both. (2) With some exceptions (see below), many of the political parties in Iran are little more than small groups of like-minded people (almost always men), who gather once in a while to discuss the important issues and release a statement to announce their positions on them. That explains why there are more than 220 officially recognized political groups and parties in Iran. Such political parties do not usually have any known headquarters, nor do they really have any process of party registration in order to attract members. In fact, there tends to be no official log or list of members who claim to be affiliated with a political party. More often than not, these groups do not have an official newspaper or publication. The reformists and democratic groups, for example, are prohibited by the hardliners from having their own newspaper or publication. (3) Due to the weakness of political parties, and because there is usually no party registration or official party affiliation, party discipline (or party loyalty) is relatively weak. Most political experts consider the lack of political discipline and party loyalty to be major hurdles in Iran's political evolution toward becoming a mature democratic state. (4) At the same time, most of Iran's political parties are interested only in victory. They have no long-term plan for the sake of the country or even their own future. If they are defeated, they often disappear and then reappear under another name. If they do not disappear, there is usually no discussion about the reasons for the defeat. More often than not, they blame others for their defeat. (5) Many of Iran's political groups and parties rely excessively on the strength of personal charisma or the popularity of a few political figures to achieve victory. This may be true in any country, but it is to the extreme in Iran. Many political groups are born and die on the strength or weakness of the charisma of a particular figure. But, at the same time, a long tradition in the Iranian political scene has been the fact that the most popular figures are usually either those who are not part of the power structure, or do not show much enthusiasm for being the figure to lead the country. Good examples include former Prime Minister Mir Hossein Mousavi, and former President Mohammad Khatami. Having explained the limitations of Iran's political structure and its differences with those in the West, I will now turn to the political groups by dividing them into three general camps: the reformists, the conservatives and fundamentalists (or the principlists, as the hardliners preferred to be called), and the dissident groups. Let us consider them one by one. In the discussions that follow, when I refer to a leftist group, I mean relative to the hardliners (although leftist groups in the true sense of the word do exist as well). The idea of reform in the political structure of the Islamic Republic gathered steam towards the end of Iran-Iraq war. In the 1980's, especially during the Iran-Iraq war, Iran's political scene was extremely polarized. But the two poles were not left and right; the Iranian leadership considered the two poles consisting of the revolutionaries and the counter-revolutionaries. The polarization led to the execution of thousands of political prisoners, and the elimination of all secular, and even some Islamic political groups. That caused considerable dissatisfaction and anger, even among the ranks of the clerics. issident groups in Iran during the 1980's. The year 1991 proved to be a pivotal one for Iran's political evolution. A leading figure of the Roohanioon, Ayatollah Mohammad Mousavi Khoeiniha, who had been the spiritual advisor to the students who took American diplomats hostage in November 1979, had been very close to Ayatollah Khomeini. He founded the first reformist newspaper, Salaam, in 1991. Its editor was Abbas Abdi, a leading figure among the hostage takers and later an outspoken reformist who was jailed for his views. About the same time, in November 1991, Kiyan, a monthly magazine, was launched by Mostafa Rokh-Sefat, Mashalla Shamsolvaezzin and Reza Tehrani, who were influenced by the political thinking and philosophy of Dr. Abdolkarim Soroush. (His real name is Hossein Haaj Farajollah Dabbagh). Dr. Soroush is a chemist by training and one of the most influential Islamic thinkers and reformers in the world. Many of the Iranian reformist journalists who emerged during Mr. Khatami's first term in office worked either at Salaam, Kiyan, or both. The hardliners shut down Kiyan in 1998 and Salaam in 1999. That same year, the Islamic Revolution Mojahedin Organization (IRMO), a leftist group, restarted its activities after being dormant since 1985. This was following an internal split between its left and right wings (discussed below). The IRMO began publishing Asr-e Maa (Our Era), a biweekly devoted to political and ideological matters. There were other publications in which the reformists and democrats were active, such as Iran-e Farda (Iran of Tomorrow), published by the Nationalist-Religious Coalition (see below). While these were positive developments, there was a major negative development in the same year as well. The Guardian Council (GC), a constitutional body that supervises most elections in Iran, bestowed upon itself the power of vetting the candidates who would stand for elections. The first test of this power came in the spring of 1992 when the GC disqualified en masse almost all the leftist candidates for the 4th Majles. This caused considerable concern among people who believed in democracy. During the early 1990's, there were also weekly meetings that were known as the 'Wednesday Meetings' in which many of the presently well-known reformists and human rights activists such as Emad Baghi (a leading human rights advocate), Dr. Saeed Hajjarian (a leading reformist strategist and the author's classmate at Tehran University from 1972 to 1974), Akbar Ganji (an investigative journalist), Mohsen Aminzadeh (Deputy Foreign Minister in Mr. Khatami's administration) and others participated. The meetings were held in a restaurant and were devoted to discussing political issues facing Iran and finding ways to help the country address them. These activists were concerned about the political crisis in Iran after the elections for the 4th Majles, and the fact that Iran appeared to be moving toward a complete dictatorship. The right-wing camp was trying to create a single-voice society. Smaller meetings were also taking place in the central office of Kiyan. Many of the reformist ideas were the result of such discussions. The reformists decided to field a candidate for the presidential election of May 23, 1997 (Khordad 2 in the Iranian calendar). Their first choice was Mir Hossein Mousavi, but he refused to run. Thus, the reformists turned to Mr. Khatami, a leftist cleric who had resigned from his post as the Minister of Culture and Islamic Guidance. He had left protesting increasingly harsh censorship in the administration of former president Akbar Hashemi Rafsanjani. The reformists did not actually believe that they could win the elections. They were rather hoping to attract several millions votes, which would allow them to form a strong opposition party. But people's dissatisfaction with the status quo ran too deep, and Mr. Khatami won a landslide election with 76 percent of the popular vote against the establishment candidate, Ali Akbar Nategh Nouri, the then Speaker of the Majles. That allowed the reformist groups and parties to flourish. Which of these groups are still active? Islamic Iran Participation Front: the IIPF was formed in 1998 by 100 of the leading reformists, including Dr. Mohsen Mirdamadi (its present Secretary-General), who was one of the three main leaders of the students who took over the U.S. embassy in Tehran in November 1979 (the other two were Habibollah Bitaraf, the author's college contemporary and classmate in the 1970's; and Ebrahim Asgharzadeh, an engineer); Mr. Abdi, Dr. Mohammad Reza Khatami, the former President's younger brother; Mostafa Tajzadeh (Deputy Interior Minister in Mr. Khatami's first administration); Dr. Hajjarian, and others. The IIPF is the largest political party in Iran, with thousands of members, tens of thousands of activists and sympathizers, and offices in most cities and towns. It has a serious platform and program for running the country, and many of its members worked in Mr. Khatami's administration. The IIPF has no official mouthpiece. Several newspapers published by the IIPF, most notably Norooz (New Day), a popular daily, were shut down by the hardliners. Its official website is http://norooznews.ir/. The IIPF aspires to represent the middle class and upper middle class, and particularly the educated. That is, perhaps, its main weakness. A large segment of the population in Iran is poor. The IIPF has made not made much of an effort to connect with this segment of the population. In the presidential elections of 2005, while most people were grappling with the economy, the main theme of the IIPF candidate, Dr. Mostafa Moein, former minister of higher education, was the formation of a "democracy and human rights front." The Islamic Revolution Mojahedin Organization: the IRMO was formed right after the 1979 revolution as a coalition of seven Islamic groups that had opposed and fought the Shah's government. The seven consist of the Mansooroon, Ommat-e Vahed, Movahhedin, Fallah, Badr and Towhidi-ye Khalgh. They were bitterly opposed to the Mojahedin-e Khalgh (MEK), which is now a terrorist cult in exile, but was a leading leftist Islamic group opposed to the Shah at one time. Many of the IRMO members formed the core of the high command of Iranian Revolutionary Guard Corps (IRGC) when it was formed in 1979. When in June 1981 the MEK took up arms against the government, the IRMO played a key role in defeating the MEK and forcing it into exile. In 1985, the leftist wing of the IRMO split from its rightist faction. The rightist faction included such people as Ali Reza Afshar, Mohammad Bagher Zolghadr (both currently top commanders of the IRGC), and Mohsen Rezaei (who was the IRGC top commander during the Iran-Iraq war and is now Secretary-General of the Expediency Council, a constitutional body) who stayed with the IRGC. The left wing remained silent and inactive until 1991, when it restarted its activities under the name of IRMO again. It began publishing the biweekly Asr-e Maa. It was shut down by the hard-liners a few years ago. Agriculture Minister), to Mr. Aminzadeh (Deputy Foreign Minister), Mr. Tajzadeh (Deputy Interior Minister), and Abdollah Naseri, director of IRNA, Iran's official news agency. In addition, the IRMO chief spokesman Mohsen Armin and Behzad Nabavi, a leading member (who negotiated the Algiers Accords of January 1981 with Warren Christopher that ended the hostage crisis) were Deputy Speakers in the 6th Majles. The IRMO also includes such notable figures as Dr. Hashem Aghajari, a popular university professor and reformist Islamic thinker, and Feyzollah Arabsorkhi, whose family has a long history of fighting against the Shah, as well as participating in the Iran-Iraq war. The IRMO has no official newspaper. Asr-e Maa (Our Era) was shut down by the hardliners. It now publishes the periodical Asr-e No (New Era), which is intended however for internal distribution among members and supporters. Its official website carries news and analysis by the the IRMO and can be found at www.mojahedin-enghelab.net. The Website Emruz (http://emruz.net/) is also closely associated with the IRMO. One main weakness of the IRMO is perhaps its somewhat rigid ideological thinking. Its members view most issues, even membership in the organization, from an ideological perspective. In the author's opinion, this has hindered its development as a full-fledged political party. Its membership is limited, and they have few offices or organizations in the provinces. The Executives of Construction Party: the ECP was formed in 1996 and consists mostly of technocrats who served in the administration of former president Hashemi Rafsanjani. Its Secretary General is Gholamhossein Karbaschi, a highly competent technocrat and former popular mayor of Tehran and Esfahan. Many of its members also served in the administration of Mr. Khatami. There in an interesting history behind the founding of ECP. In the elections for the 5th Majles in 1996, the Rafsanjani faction and the right-wing groups wanted to run common candidates. However, the right-wing factions rejected five of the candidates suggested by Mr. Rafsanjani, including his own daughter Faezeh; Abdollah Nouri, a progressive and dissident cleric; Ataollah Mohajerani, former Minister of Culture and Islamic Guidance in Mr. Khatami's administration; and Dr. Moein. That forced the technocrats around Mr. Rafsanjani to split from the conservatives to announce the formation of their own political group, the ECP, which did score major victories in the elections, including Faezeh Hashemi receiving the most votes in Tehran. Unofficially, the ECP is divided into two factions. The Kerman faction, which is more conservative, is led by Mr. Rafsanjani's younger brother, Mohammad, and Hossein Mar'ashi, a vice president in the Khatami administration and also a brother of Mr. Rafsanjani's wife (Mr. Rafsanjani's hometown, Rafsanjan, is in the province of Kerman). The Esfahan faction, which is more liberal, is led by Mohammad Atrianfar (a chemical engineer and journalist), and Gholamhossein Karbaschi. But while Atrianfar is a strong supporter of Mr. Khatami, Mr. Karbaschi has aligned himself with Mehdi Karroubi, Secretary General of the National Trust Party and a presidential candidate both in 2005 and in the upcoming elections (see below and Part III). The ECP has no official newspaper. Its official mouthpiece, Kaargozaaraan (the Executives), was shut down in December 2008. One main weakness of the ECP is that it consists mostly of technocrats who have served in various administrations over the past three decades. It does not have a widespread organization throughout the country, nor does it have a wide membership. There is also a constant struggle between the two factions. The National Trust Party: the NTP was formed in 2005 by Mehdi Karroubi, the Speaker of the 3rd and 6th Majles and a constant figure on the Iranian political scene over the past three decades. After he was defeated in the presidential elections of that year, he accused the government of voting fraud, wrote an angry and public letter to the Supreme Leader, Ayatollah Ali Khamenei, to protest the interference of the military and Ayatollah Khamenei's own son, Mojtaba, in the election. He resigned from the Association of Combatant Clerics and formed the NTP. The NPT has tried to organize itself throughout the country. It publishes a daily newspaper, Etemad-e Melli (the National Trust), and has tried to attract the disaffected reformists who are not happy with the IIPF, or IRMO, or the ECP. Mr. Karroubi has repeatedly accused the IIPF and IRMO of being "extremists." In return, he is also accused by many reformists of playing it solo, going his own way and not paying any attention to the plight of the entire reform movement, often trying to please the Supreme Leader in order to win himself favor, and creating obstacles for the work of the reformists in the 6th Majles, particularly when they wanted to revise the press law. In the author's opinion, the NPT is more like a moderate right-wing party than a true reformist/democratic organization. Its daily, Etemad-e Melli, is often engaged in publishing the same type of unfounded criticism against reformists as the right-wing camp is, albeit with a more moderate tone. The NTP's small faction in the 7th Majles, led by Esmail Gerami Moghaddam and Valiollah Shojapourian, was ineffective and is today even smaller and less effective in the present Majles. Association of Combatant Clerics (ACC): As described above, the ACC was formed in 1988, after leftist and moderate clerics left the conservative Association of Militant Clergy in protest. Its Secretary General is Ayatollah Mohammad Mousavi Khoeiniha (see above), a leftist cleric. Its most famous member is Mr. Khatami. The ACC has a significant number of followers and sympathizers among the younger clerics, and among some of the most senior ayatollahs, including Ayatollah Abdolkarim Mousavi Ardabili, Ayatollah Yousef Sanei, and Ayatollah Jalaloddin Taheri. Its unofficial daily is Aftab-e Yazd (The Yazd Sun), and its official website can be found here. The Association of Followers of the Imam's Line: Followers of the Imam's line was the name of the group of students who took over the U.S. embassy in Tehran in November of 1979. It is now used as one way of distinguishing the left and right among the clerics. The Secretary General of AFIL is Hadi Khamenei, a midrank cleric and a younger brother of the Supreme Leader. His newspaper, Hayaat-e No (New Life) was shut down by the hardliners. The AFIL takes moderate positions. elodarzadeh, a former Majles deputy. In addition, several professional organizations, such as the Society of Graduates of Indian Universities, the Society of Engineers, the Islamic Medical Society of Iran, the Society of Industrial Managers, the Association of Islamic Women, and the Association of the Majles Deputies, are all aligned with the reformists. A major weakness shared by all the reformist groups is that they never express their position about whether they support revising Iran's Constitution. While prominent dissidents among the clergy (and non-clergy), such as Ayatollah Hossein Ali Montazeri and Abdollah Nouri, have openly talked about revising the Constitution to limit the powers of the Supreme Leader, the reformist groups and parties have more or less avoided the issue. That is one reason they, and in particular the IIPF and IRMO, have lost some support among university students and intellectuals. All the right-wing parties and political groups in Iran are more or less fundamentalist, but prefer to refer to themselves as the "osoolgaraa" or the principlists. Like the reformist camp, the principlists are not united. President Mahmoud Ahmadinejad's failure to improve the economy, create employment and control the inflation has caused rifts among the principlists. But, generally speaking, they can be divided into two groups, namely, the radical (reactionary) right, and the traditional conservatives. There is a third group, sometimes referred to as the modern conservatives, but which has gradually inched its way toward the reformist camp. Let us consider them one by one. The radical right is the backbone of support for Mr. Ahmadinejad. It is, in fact, a coalition of reactionary clerical groups led by Mohammad Taghi Mesbah Yazdi, an ultra-conservative ayatollah who is openly against democracy and the electoral process. The radical right includes groups that consist of former members of the IRGC and their supporters. Hojjatiyeh: The clerical reactionary group of the coalition represents the continuation of Hojjatiyeh (although not under the same name), an ultra-conservative, anti-Bahaei, anti-communist group that was originally founded in the 1950's and tolerated (and even aided) by the Shah's government. But it was banned by Ayatollah Khomeini in 1983. The group consists mostly of former students of Mr. Mesbah Yazdi who graduated from his school, the Haghani School (a religious school and seminary in Qom, founded in the early 1960's and named after a wealthy person who provided the funds for the school), and other ayatollahs who hold views similar to Mr. Mesbah Yazdi's, such as Ayatollah Khazali (a former member of the Guardian Council), and their supporters. Mr. Khazali's son, Mehdi, created a sensation recently when he declared that Mr. Ahmadinejad's family has Jewish roots. Another ally of this group is Ayatollah Ahmad Jannati, the powerful Secretary General of the Guardian Council. He has fully supported Mr. Ahmadinejad and his views, and has been a powerful ally of the reactionary clerics. Interestingly, all of Iran's five Intelligence Ministers, including the current one, Gholamhossein Mohseni-Ejei, have also been graduates of the Haghani School. All but Ali Younesi, Mr. Khatami's Intelligence Minister, have been hardliners. All but Younesi, and in particular Ali Fallahiyan, Mr. Rafsanjani's Minister, have been accused of a variety of crimes, including ordering the murder of dissidents, or at the very least not doing anything to prevent them from happening. The Hojjatiyeh was against the revolution of 1979 (although it now claims otherwise). Its members believe that they should prepare the country for the return of Mahdi, the hidden Imam, who is supposed to reapper some day. Ayatollah Khomeini famously said this about them: "They cannot even run a bakery, let alone a country." They espouse a quasi-fascist ideology, and publish the hardline Portow-e Sokhan, a weekly publication that advocates the views of Mesbah Yazdi and his disciples. The Sweet Scent [Glory] of Service [to people] or Raayehe khosh-e khedmat, founded in 2006, which has no precise translation in English. Some of the main members of the SSS are former commanders and members of the IRGC. Its Secretary General is Mohammad Ali Ramin, a close ally of Mr. Ahmadinejad who used to work at Kayhan, the newspaper run by Hossein Shariatmadari, a hardliner. Mr. Ramin also lived in Germany for many years and is rumored to have associated with the neo-Nazis and the far right there. He is believed to be the prime mover behind Mr. Ahmadinejad's rhetoric about Israel and the Holocaust, and was the secretary of the Holocaust conference that was held in Tehran in 2006. The SSS publishes, officially and unofficially, two daily newspapers, Khorshid (the Sun) and Vatan-e Emrooz (the Homeland Today), both of which have low circulations. In addition, many websites have sprung up, such as Raja News, which support Mr. Ahmadinejad. The Fars NewsAgency is also closely allied with Mr. Ahmadinejad's supporters among the security forces. In addition, Kayhan, is an ardent supporter of Mr. Ahmadinejad. A hallmark of the SSS is its attacks on the administrations of Mr. Rafsanjani and Mr. Khatami, claiming that not only did they not do anything for the nation, but that they also helped the country deviate from the "fundamental principles of the 1979 revolution" -- an apparent attempt to justify the SSS's own failures. Despite its rhetoric and use of public resources, the SSS was defeated badly in the elections that were held about two years ago for the city councils. One reason was that the SSS was not willing to form a coalition with other right-wing groups. Their candidates received only 4 percent of the votes, and only three of their candidates for Tehran were elected (after the vote count was reportedly altered). In contrast, four of the reformist candidates for Tehran were elected, and credible reports indicated that the actual number was 8, before the vote count was changed. At the national level, the reformists received 60 percent of the votes for the city council elections. The SSS did only slightly better in the March 2008 elections for the 8th Majles. the IRGC) and IRGC veterans of the Iran-Iraq war. Its Secretary General is Hossein Fadai who was jailed during the Shah's reign for his political activities, and worked with the IRGC during the Iran-Iraq war as a combat engineer. He has repeatedly accused the reformists of being supported by the United States. The SIRD chief spokesman is Lotfollah Forouzandeh. Mr. Ahmadinejad himself was a founding member. The SIRD was fiercely opposed to Mr. Khatami, and issued many statements against him and his administration, criticizing practically every policy of the former president. But even though the reformists won the elections for the sixth Majles in March 2000, about 40 candidates backed by the SIRD were also elected. The SIRD has always been a fierce supporter of Mr. Ahmadinejad, even though it has had its differences with him too. Without publicly acknowledging it, in the elections for the city councils in 2003, the SIRD formed a separate group called the Islamic Iran Developers Coalition. Aided by a generanl apathy for voting in those elections, fifteen of the candidates supported by the ISDC were elected to Tehran's City Council, which then elected a SIRD member, the then little-known Mr. Ahmadinejad, as the mayor. In the presidential election of 2005, the SIRD initially supported Mohammad Bagher Qalibaf, former commander of the IRGC air force. That seemed strange, since the SIRD was supporting a non-member over a member. Many saw that move as a Machiavellian maneuver however. Indeed, after he was defeated and did not make it to the second round of the elections, Mr. Qalibaf bitterly complained about his supporters. The move created a fissure within the SIRD, as deputy secretary general, Ali Darabi and a central committee member, Abolhassan Faqih, joined Mr. Ahmedinejad's campaign, while another one, Ali Ahmadi, headed Mohsen Rezaei's campaign. But the SIRD was the only political group that formally supported Mr. Ahmadinejad in the second round of the 2005 presidential election. Several of its members served in Mr. Ahmadinejad's cabinet, including Davood Danesh Jafari as the Finance Minister. It also has a relatively small faction in the Majles, including Mehdi Kouchakzadeh, a fiercely anti-reformist deputy. The unofficial mouthpiece of the SIRD is Siyaset-e Rooz (the Daily Politics), whose editor, Ali Yousefpour, is a member of the SIRD. The Basij: the Basij militia, although officially neutral, has been acting increasingly as a radical-right political party, supporting all the radical-right and reactionary candidates. It has around 400,000 active members and hence represents a potent group. It is controlled by the IRGC. Not only has the Basij been acting as a radical-right political group, but it also uses its members to suppress dissent at universities through its university branches, and to disrupt meetings of the reformist groups. 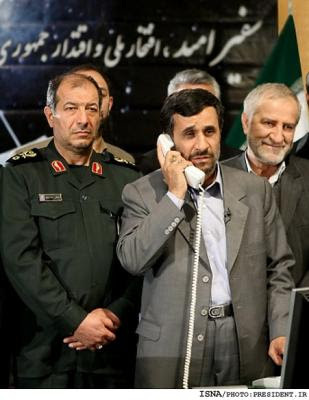 The Basij was one main reason for Mr. Ahmadinejad's surprise victory in 2005. The Islamic Coalition Party: The ICP is one of the oldest political groups in Iran. It was formed in 1964 as a coalition of three religious groups that were opposed to the Shah. It was the first Islamic group since the Safavid that was opposed to the monarchy. Its current Secretary General is Mohammad Nabi Habibi. It is also one of the most organized and disciplined political groups in Iran. They hold monthly meetings and have offices in virtually every town and city. It is instructive to briefly review the ICP history. In 1965, Iran's Prime Minister, Hassan Ali Mansoor, was assassinated by Mohammad Bokharaei (who was seventeen years old). 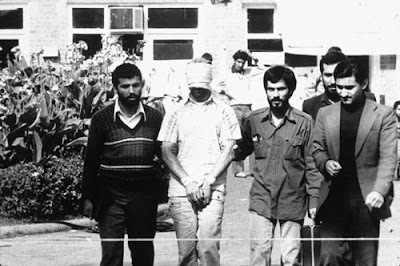 Four members of the ICP, Bokharaei, Haj Sadegh Amani, Morteza Niknezhad, and Reza Saffar Harandi, were convicted by the Shah's military tribunals and executed. Several others received long prison terms, including Haj Mehdi Araqi (who was assassinated after the Revolution). Habibollah Asgar Oladi and Asadollah Badamchian, two main leaders of the present ICP, were released after long prison terms, because they wrote a letter to the Shah and asked for clemency. The ICP strongly supported Ayatollah Khomeini before the Revolution, and was run and led by a committee that consisted of Ayatollah Morteza Motahari, a disciple of Ayatollah Khomeini who was assassinated in 1979; Ayatollah Mohammad Beheshti, a key figure in the Revolution who was assassinated in June 1981; Dr. Mohammad Javad Bahonar, the Prime Minister in summer of 1981 and assassinated in September 1981, and Ayatollah Mohyeddin Anvari. After the Revolution, the ICP was first active within the Islamic Republican Party that had been founded by five religious figures, including Ayatollah Khamenei. But, when the IRP was dissolved, the ICP began its activities as an independent political group. It was bitterly opposed to the government of former Prime Minister Mir Hossein Mousavi, as it represents mostly the interests of the powerful Bazaar (represented in the ICP by Asghar Rokh Sefat, Habibollah Shafigh, and Saeed Amani, all rich and powerful Bazari figures), but Mr. Mousavi was a populist leftist. Due to the long-lasting relations between the ICP and its Bazaari patrons on the one hand, and many influential ayatollahs and religious figures in Qom on the other hand, the ICP always played an important role in all the post-Revolution governments, until the election of Mr. Khatami in 1997. In particular, during Mr. Rafsanjani's second term as the president, his cabinet was dominated by the ICP, as was the 4th Majles (with support from the Association of Militant Clergy). But, beginning with the presidency of Mr. Khatami, the influence of the ICP began to decline. Although the ICP supported Mr. Ahmedinejad in the 2005 elections, his administration did not appoint any member of the ICP to any significant cabinet post. That has made the ICP very bitter, because it was used to having the Basij and other right-wing groups as its foot soldiers to consolidate its power. But now the same groups have essentially expelled the ICP from the government. In a recent interview, Mr. Asgar Oladi, former Secretary General of the ICP and a still influential figure, declared that the Supreme Leader wants a "more effective government," hence signaling that the ICP wants a candidate other than Mr. Ahmadinejad. He also said that the ICP would support the president "until his last day in office," signaling again that the ICP will not support Mr. Ahmadinejad for a second term. By forming an organization called the United Front of the Followers of the Imam's and Leader's Line, the ICP has tried to retain its influence on the selection of a candidate for the presidential elections. Members of the Front include several conservative groups: (i) the Zeinab Society, a conservative women's organization led by Maryam Behroozi; (ii) the Islamic Society of Engineers led by Mohammad Reza Bahonar (a Majles Deputy Speaker); (iii) the Association of Militant Clergy (see below); and (iv) the Islamic Association of Bazaar. The ICP's unofficial mouthpiece is Resalat (Mission), a conservative daily managed by Morteza Nabavi, a leading conservative, in which such conservative journalists as Amir Mohebbiyan and Naser Imani publish their columns. The ICP also publishes a low-circulation weekly called Shomaa (You). ures who are still active, such as Mr. Rafsanjani and Ayatollah Khamenei. Its Secretary General is Ayatollah Mohammad Reza Mahdavi Kani, an old but extremely influential conservative cleric who served as the Prime Minister in 1981-1982. Its chief spokesman is Gholamreza Mesbahi Moghaddam, a midrank cleric. The AMC has always played an important role in post-revolutionary Iran. In fact, candidates backed by the AMC controlled the 4th and 5th Majles. Many of its members are still Friday prayer Imams around the country, and it also enjoys considerable backing from conservative and important ayatollahs, such as Ayatollah Naser Makarem Shirazi, Ayatollah Lotfollah Safi Golpaygani and Ayatollah Ebrahim Amini. Its influential members also include Dr. Hasan Rohani, former Secretary General of Iran's Supreme National Security Council and chief nuclear negotiator. Other Groups: Two small conservative groups are the Association of Islamic Revolution Loyalists, led by Dr. Hassan Ghafourifard, a U.S.-educated engineering professor at Amir Kabir University of Science and Technology in Tehran who has served in several administrations; and the Moderation and Development Party, led by Mohammad Bagher Nobakht. The latter group is a coalition of supporters of Mr. Rafsanjani. All traditional conservative groups linked to the clerics are losing influence, because the coalition of security/military forces is gradually expelling the clerics from government. The coalition represents a younger generation whose formative experience was the Iran-Iraq war. Members of the coalition feel that they were the ones who protected the country and should therefore have the strongest say in the affairs of the state. Recent revelations by Abbas Palizdar, in which he accused many important clerics of becoming fabulously and allegedly illicitly rich, indicate the push by the younger generation to wrest away control of the country from the traditional conservatives, and in particular the clerics. Although Mr. Ahmadinejad's group dissociated itself from Palizdar, the signs all point in the same direction: eventual elimination of the clerics from positions of power. (i) The Freedom Movement: the FM is an old political organization founded in the early 1960's by Mr. Bazargan; Ayatollah Sayyed Mahmoud Taleghani, a revered figure among the leaders of the Revolution who passed away in September 1979; and Dr. Yadollah Sahabi, Ezatollah's father. Its current Secretary General is Dr. Ebrahim Yazdi who served as Mr. Bazargan's Foreign Minister in 1979. (ii) Movement of Militant Muslims: the MMM is led by Dr. Habibollah Payman, a dentist. The group's roots go back to a social democratic group called Socialist Worshippers of God founded by Ahmad Nakhshab (1922-1975) in the 1940's. Nakhshab and his group believed in socialism, but also in the spiritual teachings of Islam. For the first two years after the Revolution, the MMM published a popular daily, called Ommat (People), which espoused an anti-imperialist, social democratic philosophy. But once the bloody crackdown of the opposition groups started in June 1981, Dr. Payman ended the publication of Ommat and dissolved his group in order to protect its members. During Mr. Khatami's era, however, the MMM began a gradual comeback. Office for Consolidation of Unity: Founded in September 1979, the OCU is a umbrella group of the Islamic Associations formed in every university and institution of higher education in Iran. In the 1980's the OCU was a strong supporter of the government. But as the Iran-Iraq war came to an end, the OCU gradually withdrew its support for the government and became a critic. It played a crucial role in the victory of Mr. Khatami in 1997, and even had its own faction in the 6th Majles, which was controlled by the reformists. It sent to parliament in 2000 such notable figures as Fatemeh Haghighatjou, Ali Tajernia, Davood Soleimani, and Ali Akbar Mousavi Khoeini. Recognizing the potency and popularity of the OCU, the hardliners attempted to break up the organization. First, they provoked the more conservative elements to break away. Thus, a small minority group called the Shiraz Spectrum (named after the city where the break up was first announced), left the group. The rest were referred to as the Allameh Spectrum (named after Allameh Tabatabaei University in Tehran, where the faction met for the first time). But the Shiraz Spectrum proved to be unpopular among the vast majority of students and gradually faded away. Some of the leaders of the Allameh Spectrum, such as Ali Afshari (an engineer), were jailed. Afshari later moved to the United States and was effectively eliminated from Iran's political scene. In the most recent development, the Ministry of Higher Education, which supposedly regulates the activities of the Islamic Associations in the universities, has claimed that the OCU is an illegal organization. However, aside from its absurd nature of such a claim, the assertion does not take away the fact that the OCU is widely popular among the students and has remained a sharp critic of (and a source of concern for) the hardliners. The above was a brief description of all the important political groups in Iran. I did not discuss the exile groups because, (i) they are too small and weak, and (ii) they have essentially no influence on internal developments in Iran. Part III of this series will describe the main candidates for Iran's presidential elections.